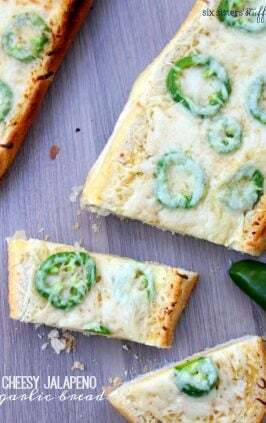 Cheesy garlic bread that you can prepare in a matter of minutes! Whisk together melted butter and garlic seasoning in a small mixing bowl; set aside. Cut the bread on a diagonal into 1-inch diamonds but not cutting all the way through. 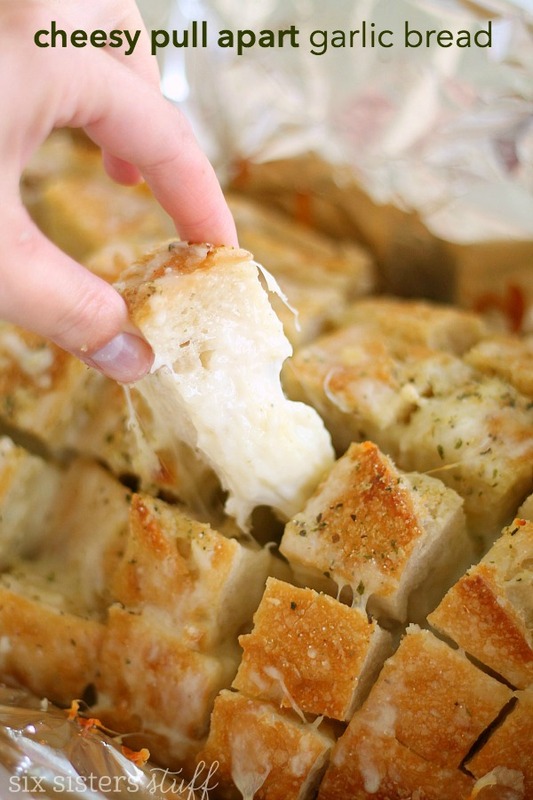 Open each crack and drizzle in butter mixture and cheese until the entire loaf is filled. Drizzle any remaining butter mixture over the top of the bread. Wrap loaf in foil and place on a baking sheet. 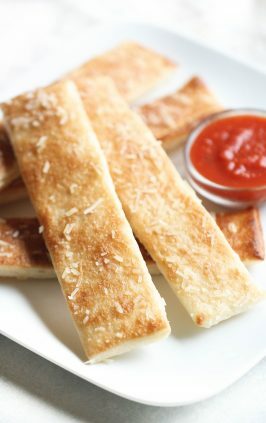 Bake for 15 minutes, unwrap and bake for 5 more minutes or until golden brown. Can you tell me more about the Johnny's Garlic Spread & Seasoning? My grocery store doesn't seem to carry it. Would I find it near the other spices and seasonings in the baking aisle? 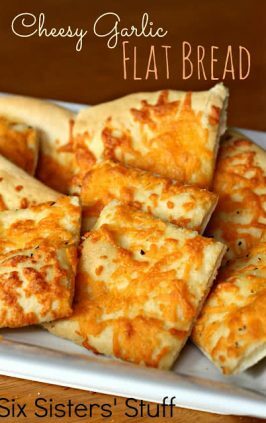 Thanks in advance, can't wait to try this recipe-it looks fantastic! 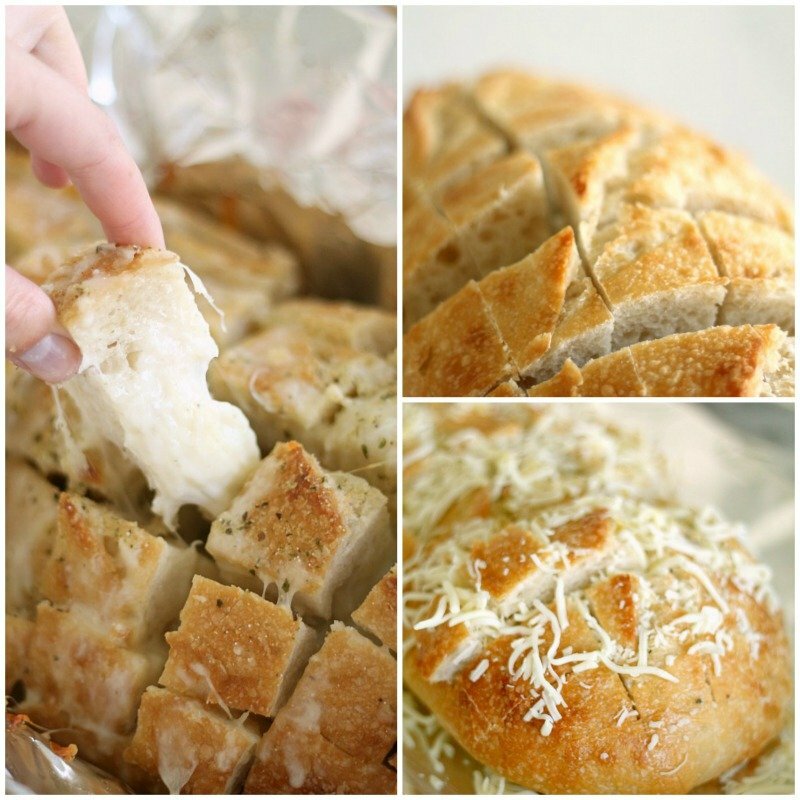 Do you know if the cheesy pull-apart bread can be prepped ahead and refrigerated until it’s baked. I’m looking for something to take to a friend that she could have heated when they are ready for supper. 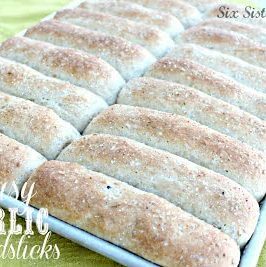 This bread looks fantastic and is definitely on my to do list for this week ! This is delicious! I made it for our valentines dinner- easy and the family loved it! 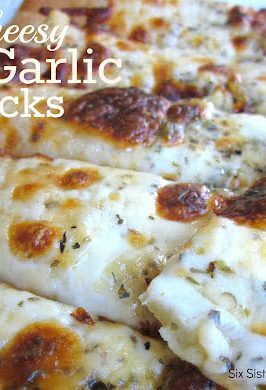 I wasn’t able to find Johnny’s Garlic Bread but in my grocery stores bakery they sold a tub of the garlic spread they did to make their garlic bread and it worked well in this recipe.